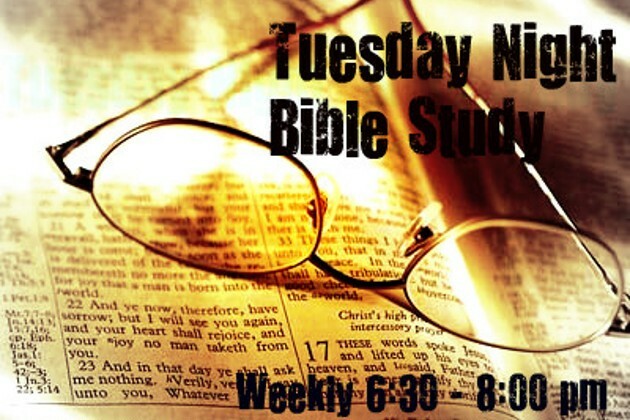 Tuesday Night Bible study will return to its weekly schedule on Tuesday, January 14. What, exactly, we will be studying is still up for grabs. Got a suggestion? Let us know in the comment box below! Due to inclement weather, the gallery featuring the art of He Qi was unable to open this past week. Beginning this coming Sunday, the gallery will be open for public viewing on each week following Sunday morning worship until 2pm. Additional days and hours to be determined. Select posters and the recently published book, The Art of He Qi, will be available for purchase during gallery hours. 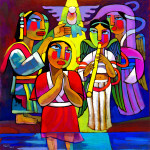 Meet the artist: He Qi will also be speaking about his life and art at St. Paul’s on Friday, January 17, at 7pm. Doors open at 6:30p. Following the event, a light reception will be provided and the gallery will remain open to visitors until 9pm. St. Paul’s Lutheran Church invites organizations, individuals, and churches in Clinton County and adjacent counties to apply for funding for a project or event that will have a positive impact on the community. Each applicant will need to complete an application form which clearly identifies the need in the community the project will address and describes the desired impact of the project. Eligible applicants may request up to $1500 to help make it happen. Those interested in applying should consult the guidelines and submit the completed application by November 18, 2013. The recipient of the grant will be announced December 10. For more information, please contact us via email at office@stpauls39.org. St. Paul’s is called to share God’s love with all people, to proclaim God’s love in word & deed, and to grow together in faith as followers of Christ. 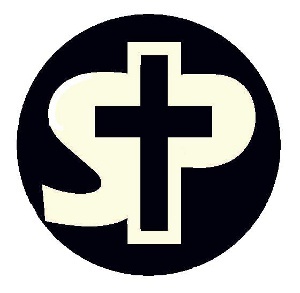 St. Paul’s is a congregation within the Indiana-Kentucky Synod of the Evangelical Lutheran Church in America. We all have a story to tell. But sharing our faith sometimes proves difficult. And yet, as we see in Scripture, our stories are the most powerful witness we have. We just have to learn how to tell it. Stories of Faith is an opportunity for Christians to discover, refine, & share their own story of faith. In this series, participants will reflect together on the stories of people from the Bible and explore how these stories relate to their own faith story. Participants will also receive practical tools and practice sharing their faith by having the opportunity to lead a session on a biblical person of their choosing and by working together on shaping and sharing their own faith stories. The series will begin with two “introductory” sessions. 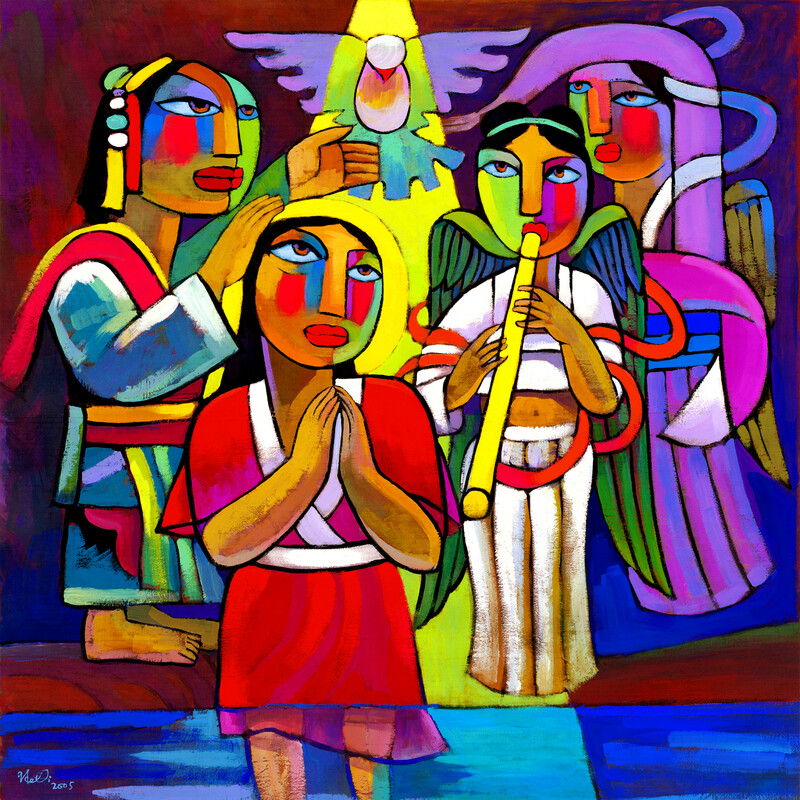 The first session, “Stories of Faith,” will explore stories of faith in the Bible. The following week, “Storytelling as Evangelism” will discuss the elements of a good story and why storytelling is a vital part of our Christian life. A third introductory session may be held if needed. Following the introduction, participants will work together to identify a Biblical person, reflect on how the biblical story reflects their own experience (or vice versa), and practice telling their story and inviting others to share their own stories by facilitating the discussion on the Biblical story they have chosen. After each participant has the opportunity to share, participants will discuss and identify specific ways each of them will share their story with others. All stories welcome. Come share your story! Tuesday Night Bible Study meets every week from 6:30p-8:00p at St. Paul’s Lutheran Church. Get directions from Google. Thank you to everyone who took a little time to sit down and share their stories during our Listening Campaign this past summer! Having been the first experience of a listening campaign as a congregation, I wanted to offer some of my observations and highlight some of the things the Listening Team identified as learnings in this process. As part of St. Paul’s continual mission discernment, each year three “priorities” are identified as focus areas of St. Paul’s Mission. These three priorities are used to shape the way our council, ministries and members are live out that mission together through ministry programs, worship, and events. This past year, the identified priorities were: Faithful in Worship, Growing as Stewards, and Continued Mission Discernment (Read more about these priorities here). The second priority, Growing as Stewards, includes a special focus on building relationships. This emerged from a number of experiences over the past three years which highlighted that (1) active participants in St. Paul’s ministries do not know one another as well as we typically assume, and, (2) that our relationships are one of the most valuable things we steward as Christians. This past summer, the focus on building relationships was lived out through St. Paul’s Listening Campaign. The campaign launched in March when members of St. Paul’s were trained in the art of one-to-one conversation and formed a “Listening Team.” Over the next several weeks, this team led the listening process by planning, executing, and debriefing conversations. 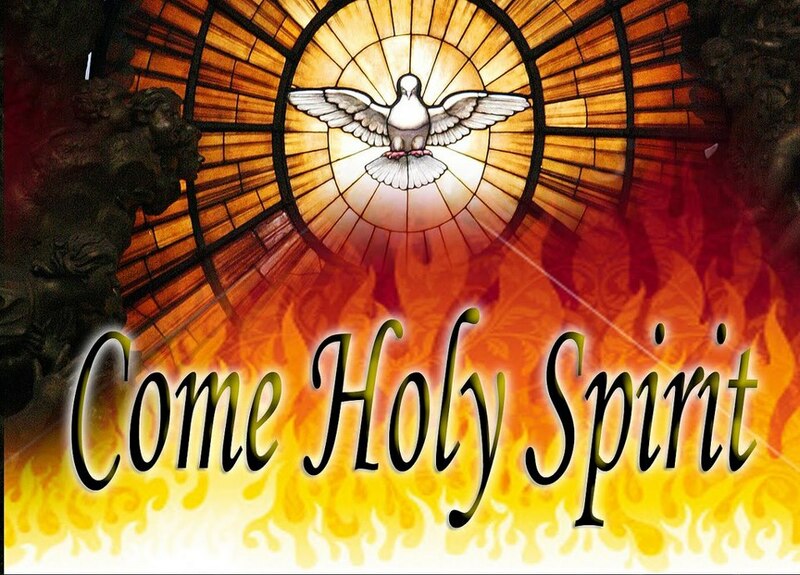 A final report of this phase of listening was reported to the congregation on Pentecost. The best part of the campaign for the Listening Team was the opportunity to become more familiar with other members of the congregation and hear their stories. It takes a certain amount of courage to even ask people to sit down together. But overall, the team found that people were excited and willing to talk and swap stories. There were times during the campaign that the team felt a lack of clarity around the goals. Early on, the team had decided not to “bring up” St. Paul’s unless the other person mentioned it first. As the campaign went on, members of the team expressed desire to apply a more focused questioning around a particular issue. 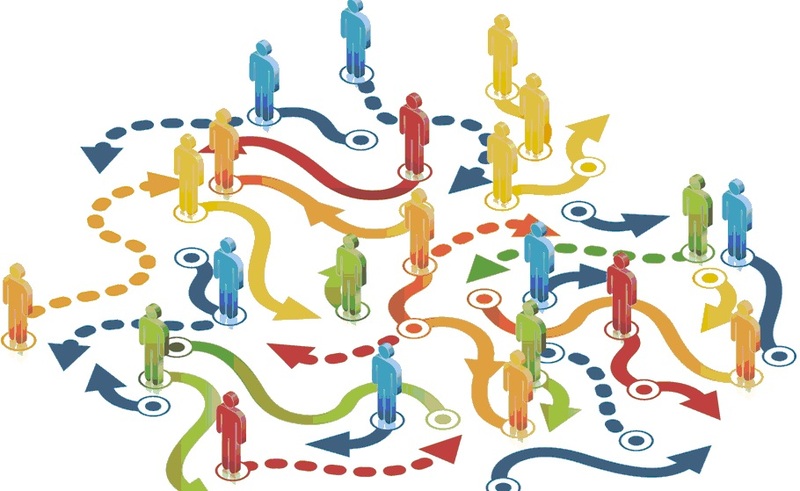 This created a real tension for the team – how to discover the common pressures and passions of members without trying to lead the conversation to a particular end through a set of predetermined questions. This tension was probably most felt when the team met to reflect on their experiences and what they heard in order to prepare for the report to the congregation. In preparing for the report to the congregation, the team expressed that they did not get a sense of closure from the first phase. There was still a lot to debrief and unpack, but the short amount of time for the turnaround did not allow for enough conversation. The team desperately desired to come up with a report and recommendation that would convey the richness and depth of all that they had heard. 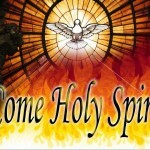 Following the Pentecost report, the general consensus of the team was that the identified action steps did not seem to adequately address the pressures and passions that were uncovered in the conversations. Additionally, the action steps did not appear to contain any “risk,” which may have contributed to a lack of enthusiasm. When the team discussed how best to move forward, a key component was finding ways to create opportunities for people to share their stories and build relationships with others. The Table Talks will be helpful in this regard, but there will likely be more relational work to be done in the months ahead. In identifying their own “next steps,” the Listening Team decided to focus on supporting the work of the grant team through one-on-one conversations with applicants/references and hosting “research meetings” to build relationship with others actively serving the community, learn what motivates them and they got to this point in their life, and discover where their goals and values overlap with St. Paul’s. If you are curious about the listening campaign, wonder why St. Paul’s is doing this, or are interested in being a leader in the process, send a note to Pastor Joshua, who would love the opportunity to sit down together and discuss these things further. Sunday School. We’ll gather together in the sanctuary at 9:15 a.m. to kick off the fall Sunday School program! Sunday worship. We’ll meet back in the sanctuary at 10:30 a.m. to celebrate the Word with bread & wine! 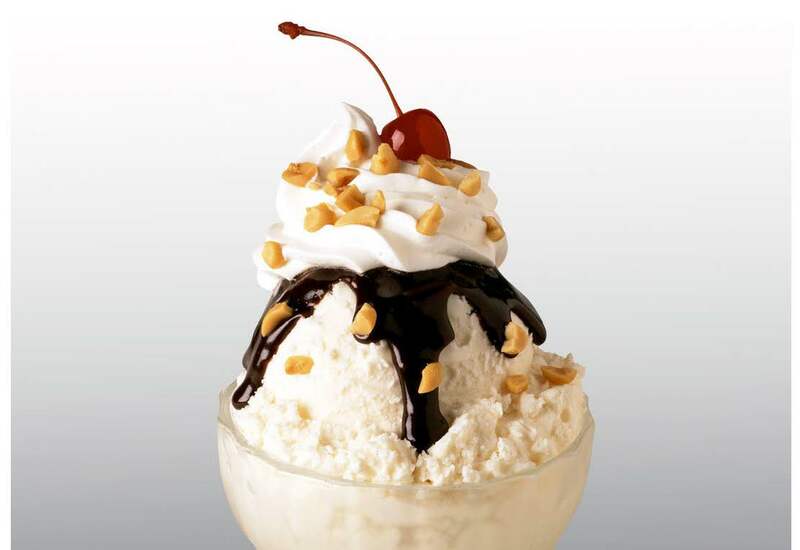 Sundae Social. Bring your favorite topping (enough to share)!owing service, and plan to stick around after service for sundaes and conversation about St. Paul’s being a part of a new shared ministry! And share this with others on Facebook! If you haven’t been to church in awhile, now is a great time to come and be involved! Preparations and planning for fall activities have begun and it is shaping up to be a very exciting time at St. Paul’s with a lot of great events! St. Paul’s Community Engagement Project is well underway. This project is at the core of St. Paul’s 2013 Partnership Grant objectives and has two major parts. The Community Grant makes up the second component of the community engagement project. 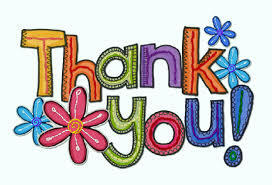 This week, a team has met with Tiffany Hatfield who provided an overview of the grant process. From here, the team will work to set the guidelines of the grant and extend invitations to local organizations to apply. Later this fall, the entire congregation will have the opportunity to select the recipient together. There are a lot of other things happening as well! Rostered members and friends of St. Paul’s should have received a letter last month discussing the exploration of shared ministry possibilities. More information about these possibilities is being gathered over the next few weeks and further information will be provided following the council’s meeting in September. In the meantime, if you have questions, please talk with Pastor Joshua. Grandparents are invited to a Table Talk on Monday, August 26th (5:30p-7:00p). This will be an opportunity for grandparents to get together, learn a little about each other, and have a guided conversation about faith, family, and the things that matter most. If you did not sign up in July, but would like to attend, you can RSVP via email to office@stpauls39.org. Also happening in August is Gloria Dei’s Chicken Bash dinner on August 14th, from 4:30-7:00. Tickets are available in advance – $8.50 for adults and $4.00 for children 8 and under. The proceeds will benefit the food pantries in Rossville and Mulberry. Folks can contact the church,765-296-2108 for tickets. Gloria Dei Lutheran is located at 610 W Jackson St in Mulberry. Finally, the initial meeting for the 2013 Stewardship campaign planning team will be held this coming Sunday (August 11) at 9:00am. St. Paul’s will be hosting a special lunch on November 17th following service – so mark your calendar now and plan to attend! If one or more of these events sound interesting, connect with Pastor Joshua (email) to learn more about how to get involved! As other events are scheduled, they will be added to St. Paul’s Calendar. Check back regularly for the most up-to-date information. You should also “Like” St. Paul’s on Facebook! It’s a great way to keep connected. This past Tuesday, our bible study reached the anticlimactic ending to the book of Acts of the Apostles. If you were unable to attend, but would like to delve into a study of Acts, you can catch up on what you missed lessons up to Chapter 10 are available online (this link will take you back to the beginning of the study). The next Tuesday evening gathering will be July 16 (6:30-8:00) at Arni’s, downtown Frankfort. There will be no Tuesday evening gathering July 2nd or July 9th. However, you are encouraged to throw a party and invite everyone! Locations for July 23rd and July 30th have not yet been identified. Our next series study will begin in August. You can help select our next series on St. Paul’s Facebook page. A few of the possibilities that have been discussed thus far include “the Augsburg Confession,” “Baptized We Live” by Dan Erlander, or exploration of another book of the Bible. Make your selection known in the comment thread here! Over the next several weeks, these members met, listened and shared with as many members of St. Paul’s as they could in one-to-one meetings. In these meetings, they shared stories, learned what members of the congregation value and discovered some of the pressures they face. This “internal” listening campaign was the first phase of the “Community Engagement Project” and laid the foundation for the work that still lies ahead. various roles within families, and each of these roles may face different pressures and have different concerns. 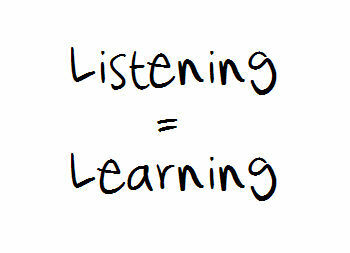 In the end, what we learned is that we need to do more listening. So, for our next steps as a congregation, we will be hosting a few “Table Talks” over the summer. These casual gatherings will be ways for similar people to gather together in a guided conversation, share a little about their own family, talk about the pressures they face, and identify a few ways that the church can support and nurture the faith of our families. As a starting point, we have identified three “groups” to gather around tables. These groups were identified by thinking through what groups would have a “critical mass” of folk who would be able to talk together. The first two are fairly common and self-explanatory. However, you don’t have a to be a parent or grandparent to have a family (maybe you’re the crazy uncle!). Everyone is part of family – whether they are single, have no children, divorced, etc. – and so, we’ve created a third group to help make sure everyone gets a place at a table. Our hope is that through these conversations, we will build relationships with each other, gain a sense of clarity about who we are (as family members and as a faith community), identify some of the common struggles we have, and plan out a few next steps to suggest to the congregation. But in order for all this to happen, we need everyone to participate! So we are asking everyone to sign up for a group (only one!) by June 24th. You can sign up on the boards outside the sanctuary at church or online. It takes at least two people to move forward, but we’re hoping for a lot more! Then, once everyone has had a chance to sign up for one of the three groups mentioned above, we’ll break out into small groups around the kitchen table and have a chat sometime in July or August. If you have questions about the Table Talks or Community Engagement Project, please contact Pastor Joshua. Your generous financial support helps St. Paul's continue to fulfill its mission of sharing God's love.